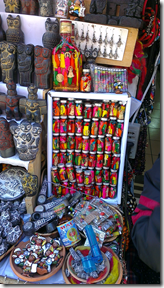 La Paz Bolivia has a very special significance for Joyaviva, the exhibition of modern amulets. It is the home of El Ekeko, the inspiration of Angela Cura Mendes El Ekeko Proyecto and represents an original take on luck in South America. 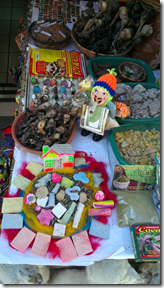 This Andean god of abundance is the centrepiece of a festival known as the Alisitas, when people exchange miniature versions of consumer goods. The city has an entire mini-economy devoted to the fabrication of miniature tools, cars, money, food and even certificates. These all go on sale at noon, 24 January, where the city’s population gathers to purchase the object of their and others desires. 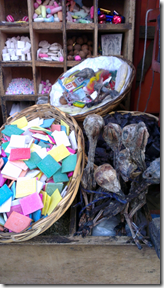 On other times of the year, you can supply your wishful thinking at the Calle de las Brujas (Street of the Witches). 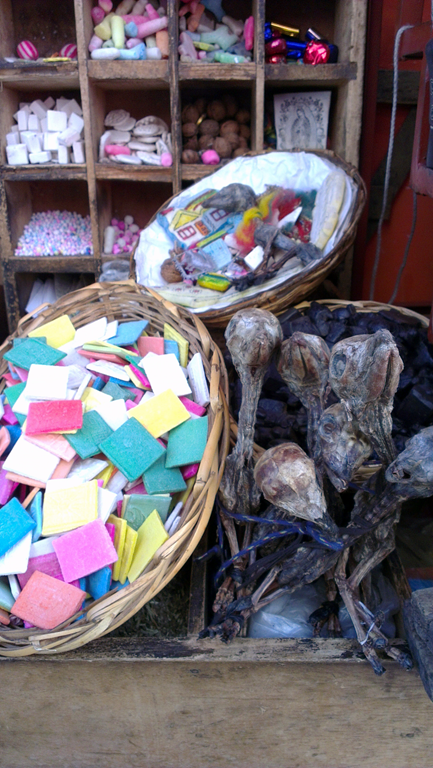 All along the street are shops selling amulets, votive offerings, charms, herbal medicines and the ubiquitous llama foetus. It’s an extraordinary display of invention and ritual that both attracts and repulses. The Joyaviva challenge is to find ways of drawing on this amazing heritage without reverting to primitivism. 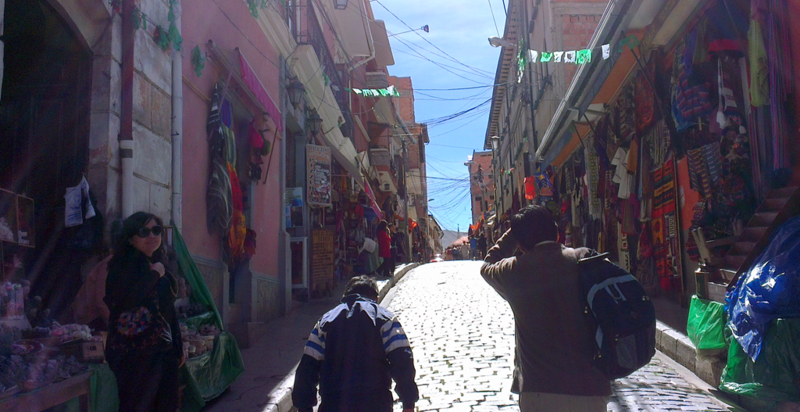 Bolivia is a fascinating stage in the Joyaviva journey. 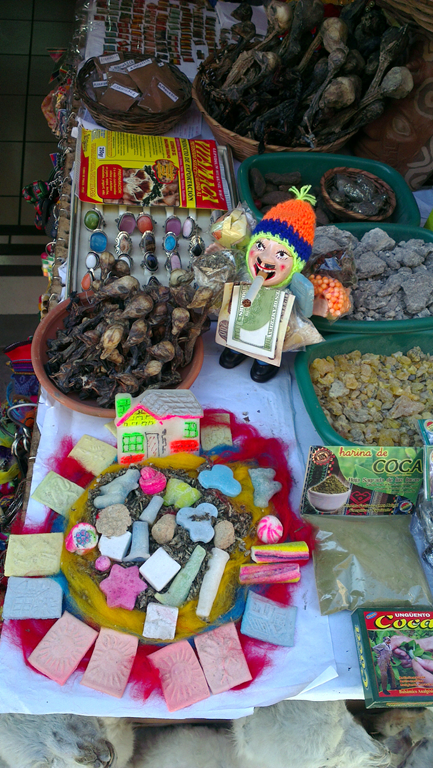 Though it is the poorest country in Latin America, it is incredibly rich in popular culture. There is a great love of festivals, featuring stunning parades in the Fiesta de Gran Poder and Carnival. It is also the most strongly indigenous country in the continent, with a President who proudly follows his Aymara heritage. Politically, Bolivia aspires to world leadership in climate change, presenting the figure of Pachamama (mother earth) as a global ideal. 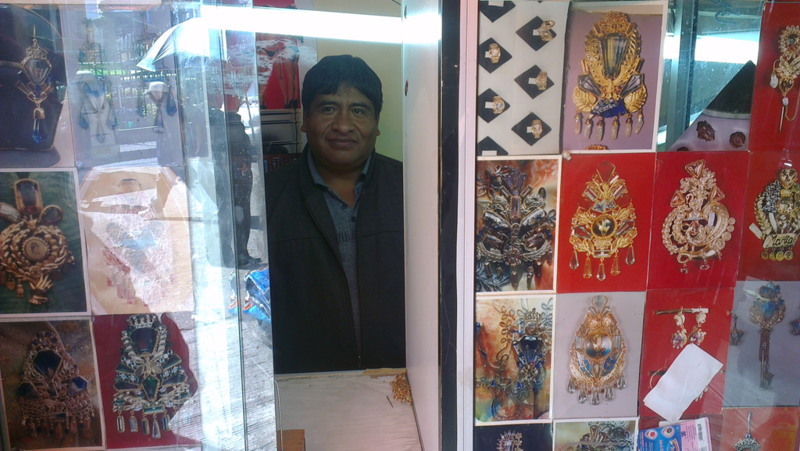 Estaban Avendaño, a jeweller to the Cholitas, the ultimate connoisseurs of style in La Paz. One of the distinctive features of La Paz is the indigenous woman, known as cholita, who dresses in a distinctive derby hat (bombin). Forced to adopt European clothes by their Spanish masters, the indigenous women decided to craft their own image from variety of disparate sources. In what might be considered Andean bling, the women wear multilayed skirts often embroidered with glistening metal thread. Jewellery is taken very seriously, particularly when attached to the hat. The women commission specific pieces that relate to their identity, featuring ornate animals or mythical figures. 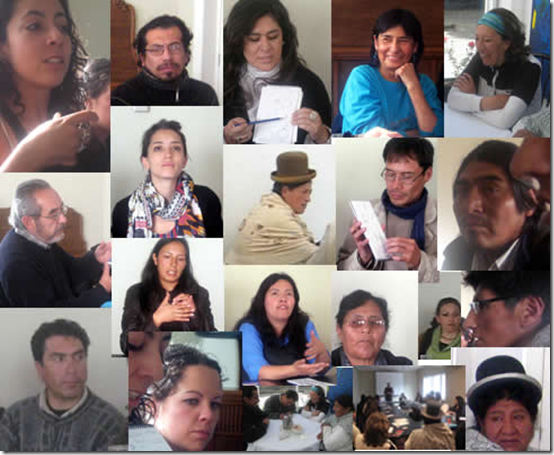 Joyaviva itself is blessed with a wonderful partner in Bolivia. 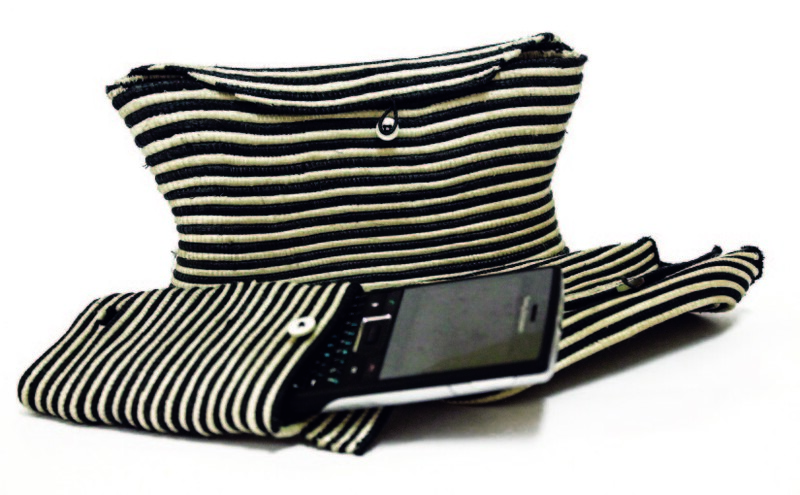 The Jalsuri Foundation works with artisans across the country hosting workshops and developing quality craft product that they sell in their shops. 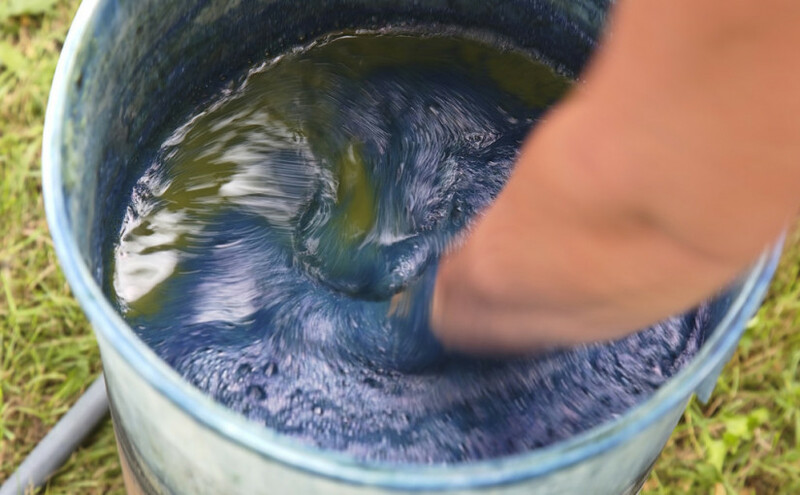 Under the leadership of Daniela Viscara, they gathered a fascinating combination of artists, jewellers, designers and artisans for the Joyaviva workshop. She gave an outline of the design process and her colleague the historian Silvia Azre presented a fascinating genealogy of El Ekeko. The dialogue between Western, Latin and indigenous cultures proved quite fertile. So what did they come up with? 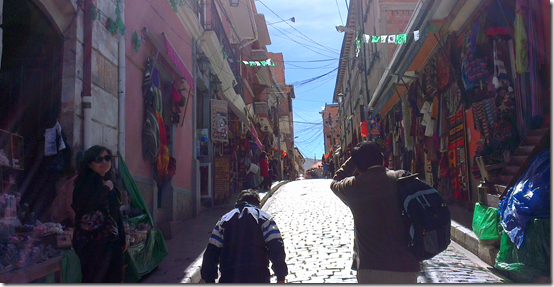 That week in La Paz had been quite difficult. The bus drivers had blockaded the city, making it impossible for people to get to work or the shops. And then in the weekend, a large group protesting against the blockades themselves disrupted the city. It’s no surprise then that one of the situations they identified as needing luck was the task of getting to work each day. While this might be taken for granted in most other cities, in La Paz it might be considered a blessing to actually arrive at work in the morning. Other work related concerns included having for a job interview and sitting an exam. These were very different from the traditional contexts for amulets, which included fertility, good harvest and personal wealth. Might there be a new generation of Bolivian amulets relevant to the needs of a modern city? The Alisatas Festival that holds particular promise. While over-consumption is recognised as producing great strain on the environment, a decline in consumer demand is seen as stalling the world economy. Alisatas is a celebration of desire and consumption, yet because the items are miniature, this has a positive effect on the local economy. In the Western version of Alisatas, known as Christmas, the ultimate gratitude for all the goods we unwrap is to say ‘But this is exactly what I wanted. How did you know?’ Perhaps the recognition of desire is more important than its satisfaction. If this is so, then the Alisatas is the perfect way of bringing people together. 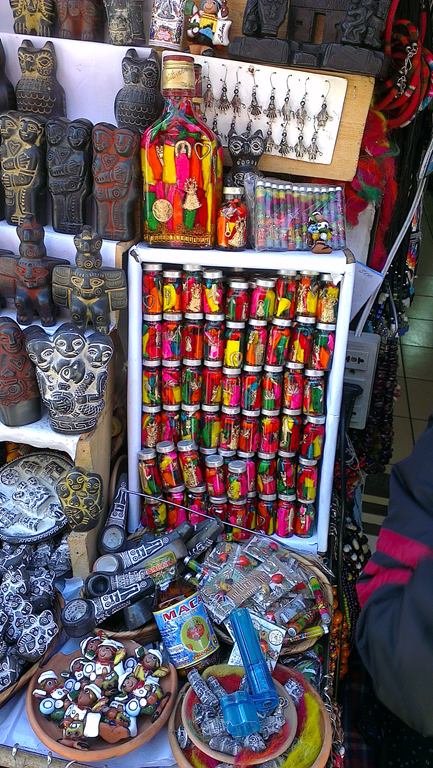 The particular desire for Joyaviva is to have the exhibition in La Paz at the same time as Alasitas. This not only touches on the spirit of the project, it also provides a generative platform for the burgeoning jewellery network. After all, rendering the world in miniature is a special power of the jeweller. Great post – Ive been working on a little jewellery project with scientists and clinicians about modern superstition about disease – do these modern amulets still address worries about health and illness? It would be great to learn more about your project, Sandra. Some of the amulets address this in a generic way.